UPDATE: This is it, this will be the final post under the old look. The new website is just about ready to go. So expect all the pictures and video from Glenwood Terrace by the end of the week! 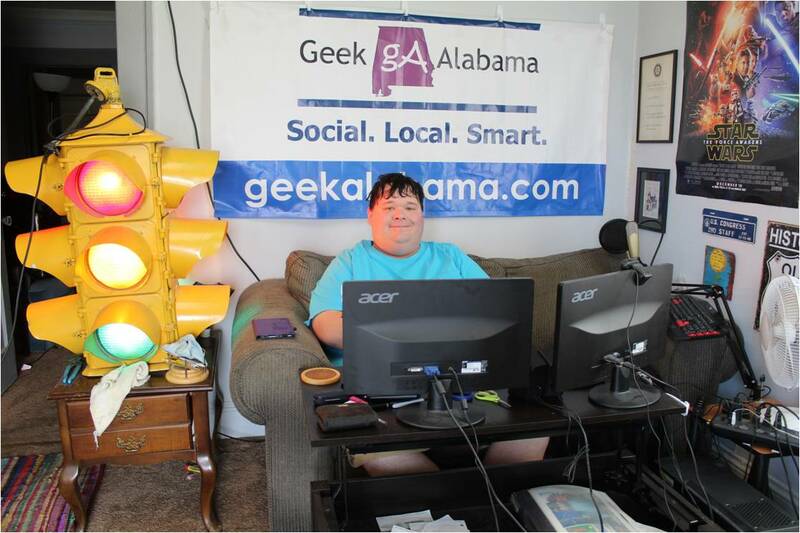 This has become an annual tradition where Geek Alabama comes out to the Glenwood Terrace neighborhood in East Anniston and takes plenty of pictures and video of the people who come out on Halloween night! 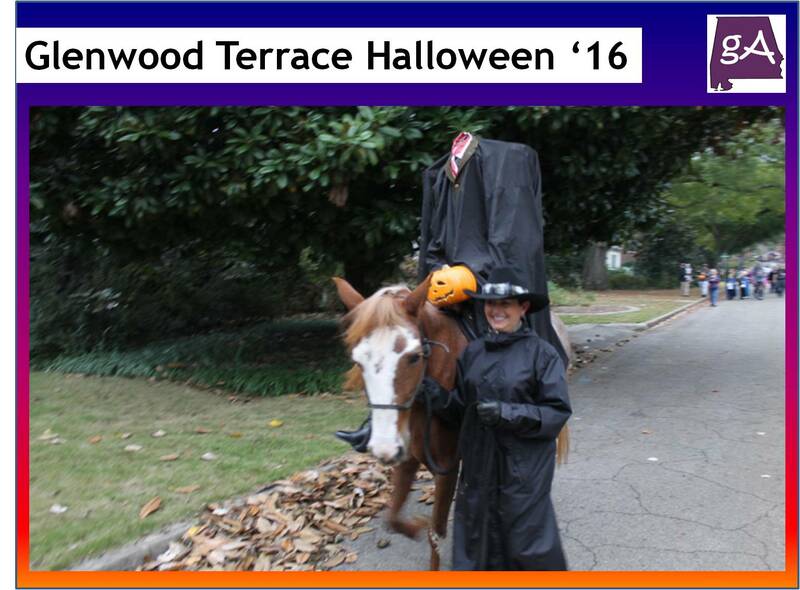 And for 2016, Glenwood Terrace is once again putting on one of the biggest Halloween trick-or-treating events in Alabama! On Monday, October 31st, the streets of Glenwood Terrace will be closed off to vehicular traffic and the streets will be filled with the ghosts, goblins, and the other cool Halloween costumes worn by kids and adults! Many houses along Glenwood Terrace also participate by giving out candy to the trick-or-treaters, or going all out and decorating their houses for the big night! 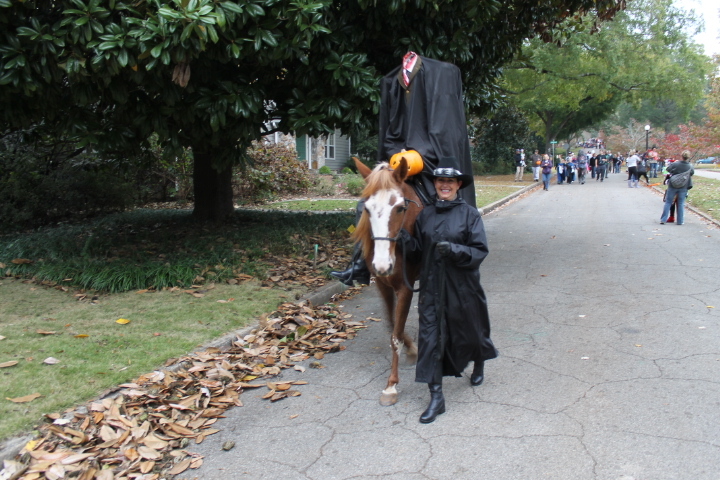 Also, roaming the streets will be a haunted horseman! You might see a guy missing his head on horseback roaming up and down Glenwood Terrace! 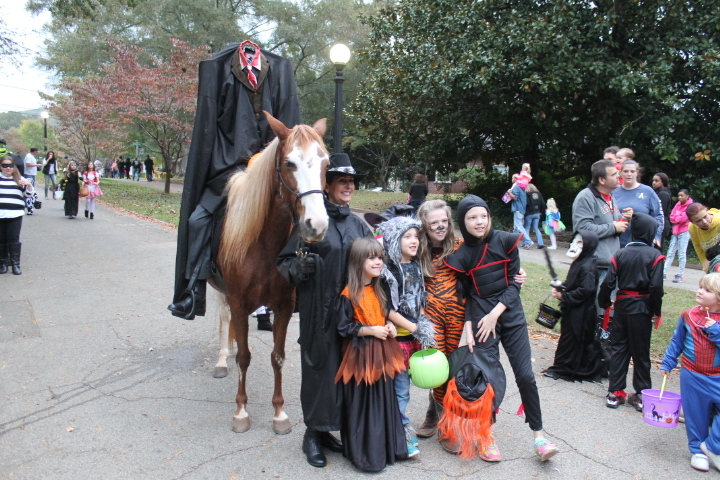 The role of the headless horseman is played by horseman Craig Waldron, and as you can see, the kids love the headless horseman! The trick-or-treating fun will begin at around 5 pm! I will be out along Glenwood Terrace beginning about at 4:30 pm. For 2016, be prepared for really warm temperatures. Make sure you and your kids are hydrated before you head out. The fun will last along Glenwood Terrace until around 8-9 pm. Come out early, because Glenwood Terrace, and many surrounding streets, are closed down to traffic beginning at 4:30 pm. And that includes Glenwood Terrace, Highland Avenue, and the intersecting streets, parking might become a hassle! Glenwood Terrace is easily accessible off of Highland Ave. in East Anniston. Just turn onto East 10th Street off of Quintard Ave, and drive to the third traffic light on top of a hill, and turn right! You can park on any street around Glenwood Terrace but no vehicles will be allowed on Glenwood Terrace during trick-or-treating. The entire thing is free! And you will get to enjoy kids and adults dressed up in their best Halloween costumes. Great ready, trick-or-treating is tonight, Monday!